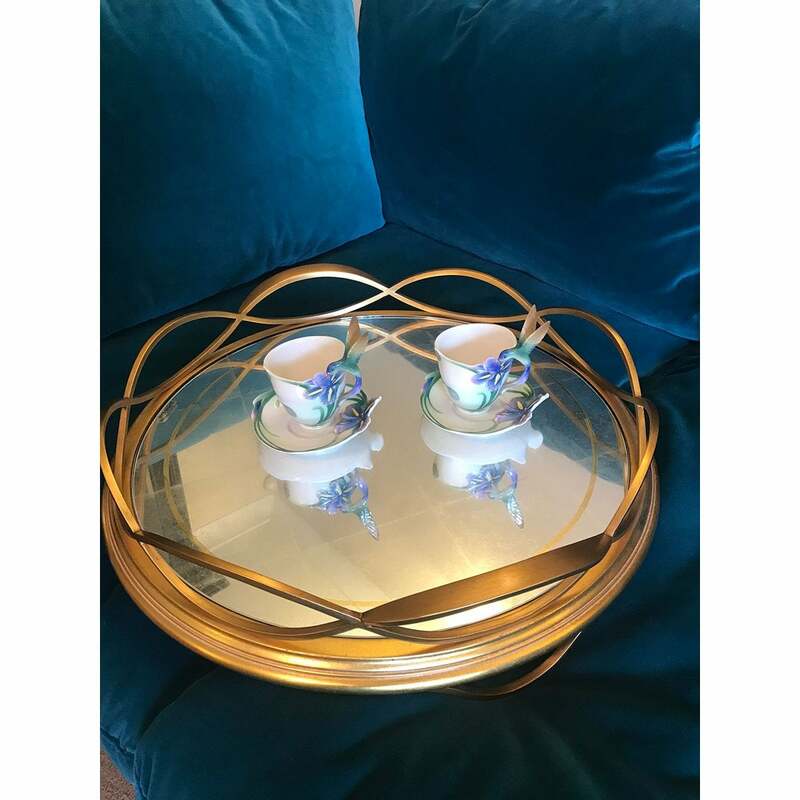 Hollywood Regency is elegant and stylish by definition; however, this Mirrored Tray with Contemporary twist certainly takes it to the next level. 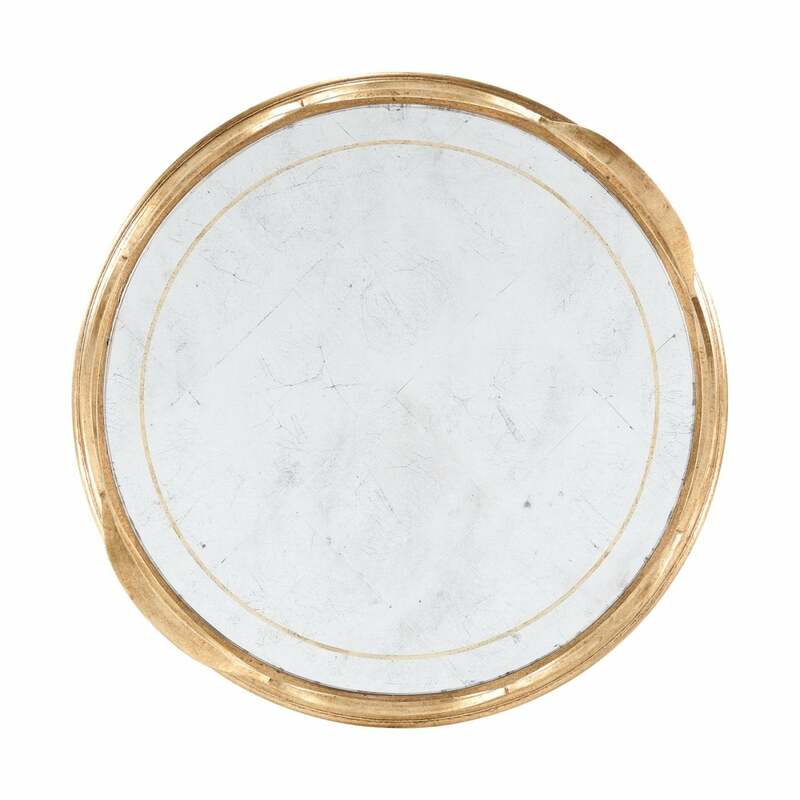 The Round Gold Serving Tray With Mirror Base brings an attractive serving solution into the home. 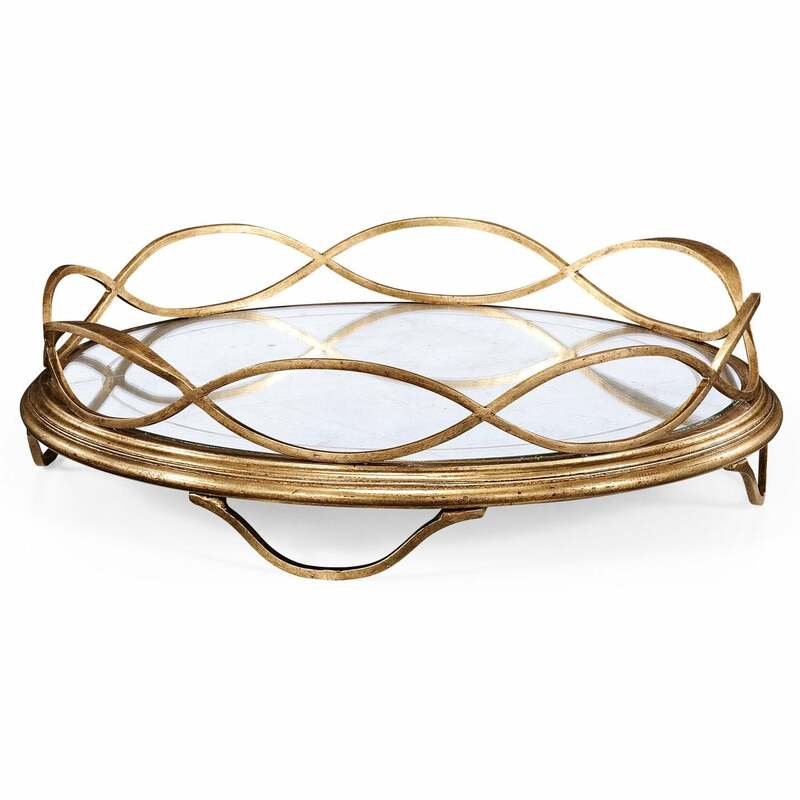 Contemporary wrought iron circular serving dish or wine coaster features distressed gilded finish and hand painted gold borders to the Eglomise glass top set within an undulating openwork frame. 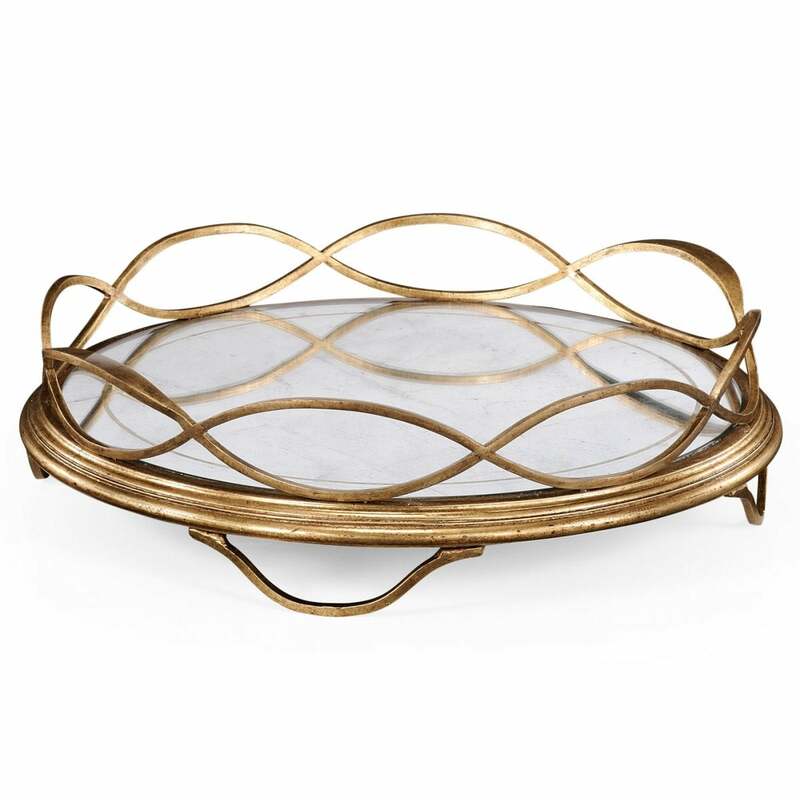 Flaunting an iron form with a beautiful French Eglomise glass, this tray is elegant, sanitary, stylish and is sure to last through years of home entertaining. Whether used to serve drinks, hors d'oeuvres or snacks, you are sure to make a lasting impression on guests and add a durable addition to your contemporary home arsenal with the Contemporary Serving Tray. 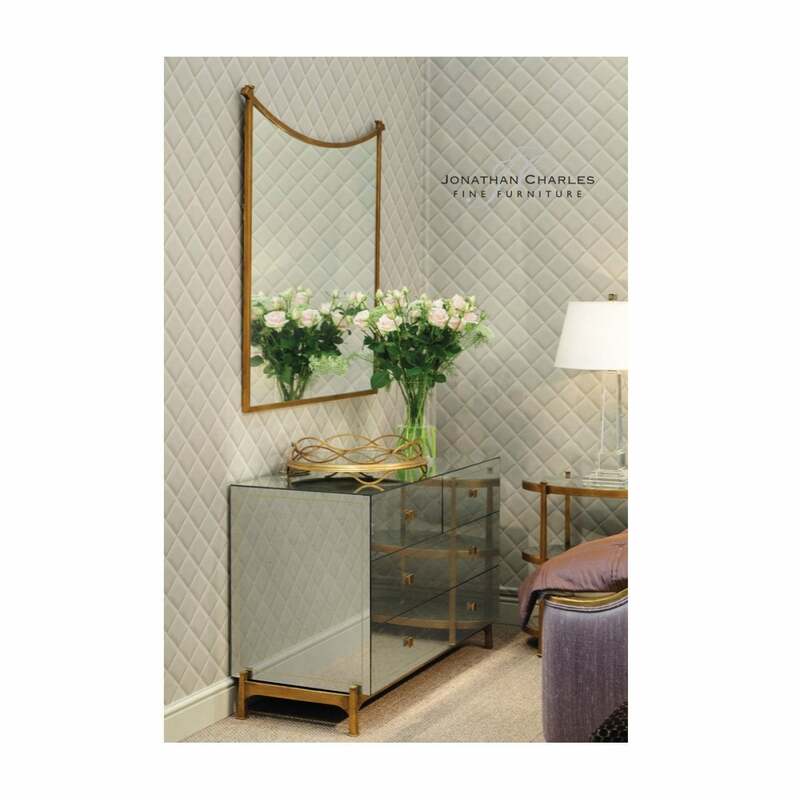 It can also be used in a stylish bedroom, to give your bedroom some instant elegance. We imagine that only the finest perfumes or rarest concoctions would rest on it. 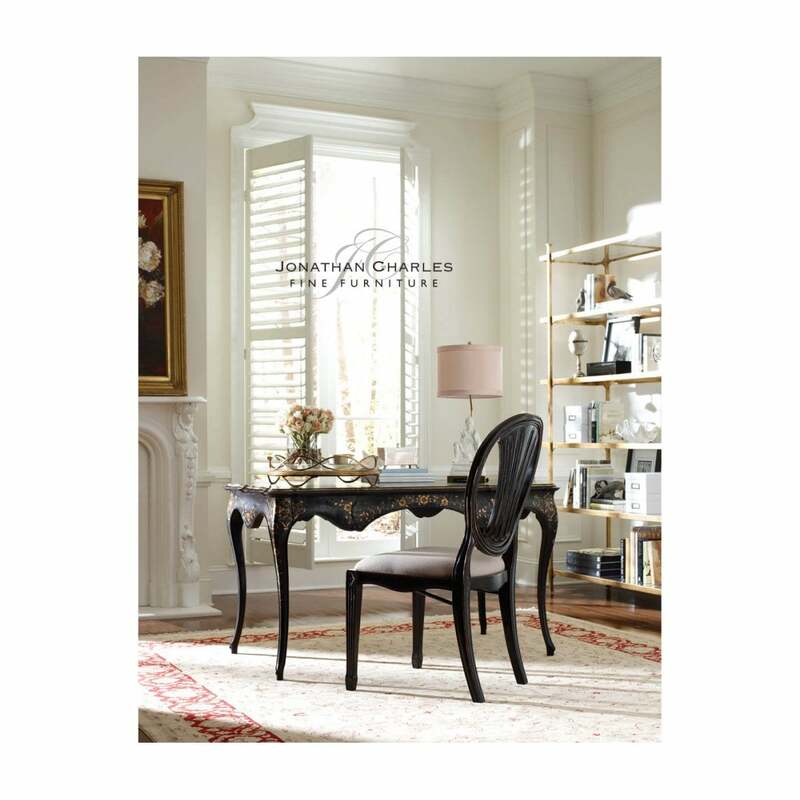 Deco spaces will also revel in the luxurious finish and elegant lines. Available in bronze, gold and silver. 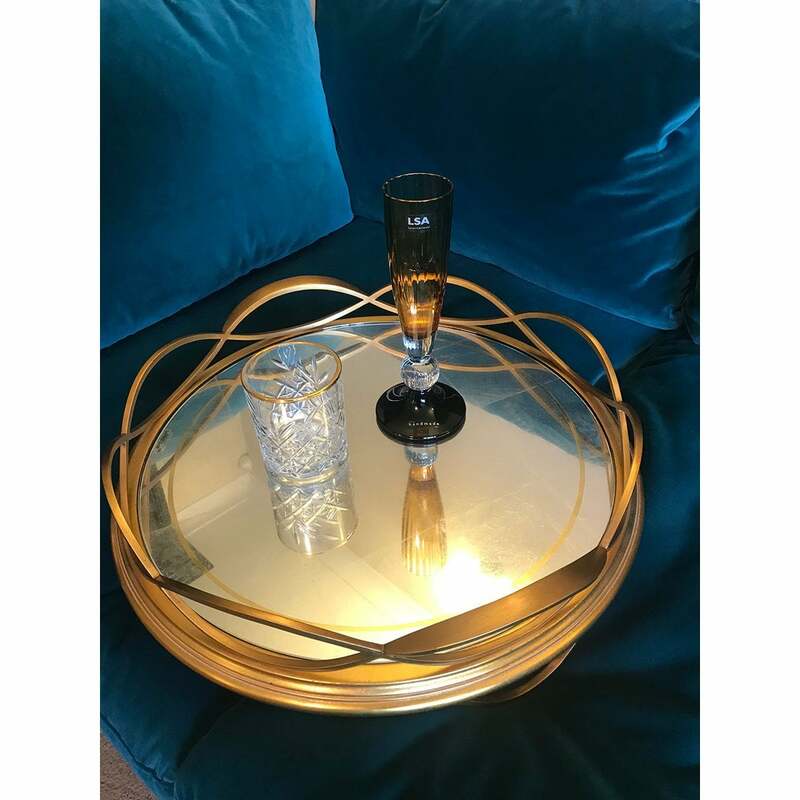 Pair it with the matching Hollywood Regency Coffee Table, Console Table, Bedside Table, Chest of Drawers or Wine Table (available separately) to complete the look. 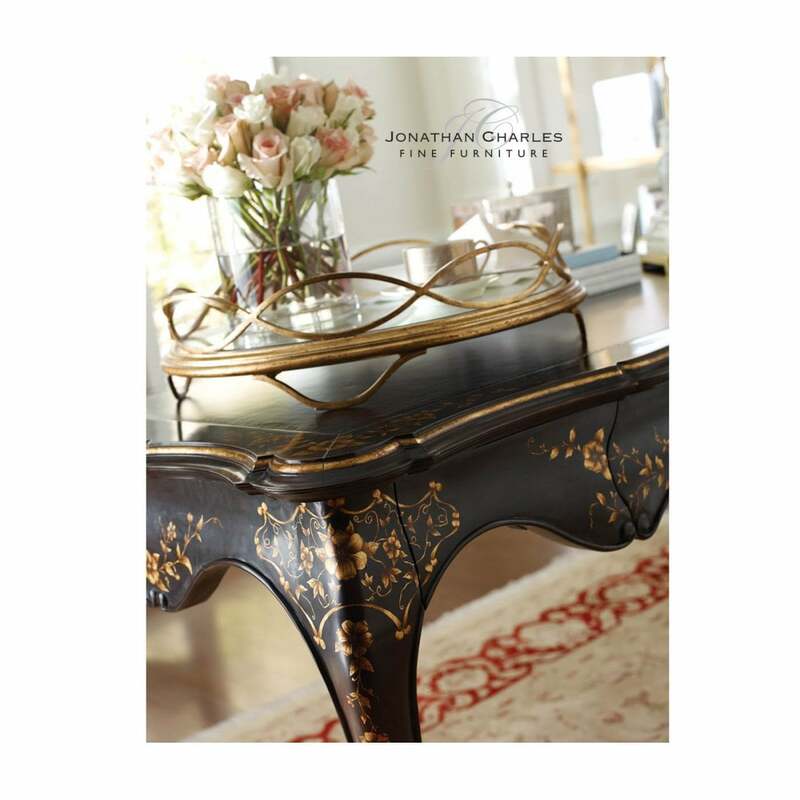 Currently, Hollywood Regency furniture and accessories are very much in Vogue, there's something for everyone in this impressive Luxe collection.